Want to install a hydronic radiant floor heating system at home? Heat pumps are the best way to do it without a doubt. Read on and learn more about the benefits of heat pumps with hydronic floor heating. Installing a hydronic radiant floor heating system at home can bring thousands of benefits and will allow you to enjoy maybe the most effective heating method you can find in the market. However, there’s a way to do it that offers even more benefits and brings an even more effective performance – using heat pumps. Here we are going to show you how a hydronic radiant heating system works with a heat pump. Take a look further and learn! By extracting more energy from the air than any other device, it is one of the most efficient in the market. A heat pump produces more heat with less electricity than it consumes, supplying highly efficient heating and water heating. Being much more efficient also makes a heat pump much more affordable in the long run. Especially when compared to oil, gas, and electric devices, heat pumps offer the chance to produce more energy than they consume, making heating systems much more convenient. Installing a heat pump, even when it means a lot of work, it is still less problematic than other methods for hydronic heating. And what’s even better, it is compatible with a wide array of other devices & systems. Heat pumps are less likely to need maintenance due to a much more efficient and durable performance. Yearly maintenance can be done by anyone, while combustion and electric systems may demand up to 2 professional services a year. A heat pump system doesn’t imply any danger to your surroundings or to people in any way. They are safe to use entirely. Capable of producing fewer carbon emissions, a heat pump is much more helpful to the environment than almost all other types of heating devices. They reduce the use of combustion fuels exponentially and need less electricity than electric appliances. A heat pump can last up to 50 years in the best of cases. However, an average lifespan of a heat pump is between 10 and 20 years. They are incredibly reliable and demand little maintenance and care. A hydronic radiant floor heating system uses tubing below the floor to produce a warm environment. This is all done with a hot liquid that passes through the tubing. The fluid is usually pumped or radiated from other devices, making it more efficient and reliable in the long run. You will be able to walk barefoot, have wonderful times inside without caring about what the temperature in the outside is, will allow you to avoid constant maintenance, and very likely will help you achieve the desired temperature for your home that you want. The design and the effectiveness of a hydronic radiant system for heating make it much more comfortable than any other. By using more “green” methods of energy, with higher efficiency, and using sustainable and healthy materials, a radiant heating system is the first option for many people because it is more environmentally friendly than many other heating options. Using combustion fuels such as gas and oil can be extremely expensive, even more so when we talk about electricity. The availability of radiant floor heating to use other types of more efficient and affordable heating methods makes it a lot softer on your pocket. And of course, it is so compelling that can work at lower levels and temperatures and still deliver top-notch heating capacity. Thanks to how easy it is to install the piping & overall equipment of a hydronic system, you may end up having a much more versatile system to heat up your entire home or specific places. The ductwork of hydronic heating systems allows users to design their heating capacity. Hydronic baseboard heat, forced-air heat, and other types of room heating systems are often loud and make a lot of noises. When you use a radiant floor heating system with a heat pump, you reduce these sounds by up to 50%, and the volume goes low as well. The only noise you may experience is a creaking sound from the floor, due to the contraction and expansion by the heat, especially on wood. Even though radiant hydronic heating doesn’t necessarily change the air of any room in your home, by only using the floor as a heating device, you will obtain much better air quality. Instead, when you use a forced-air heating device, the air quality on your home may be filled with burned particles, dust, debris, and even toxic chemicals or contaminants. With a heat pump hydronic system, you avoid any of these. How Does a Heat Pump Work in a Hydronic Radiant Floor Heating System? The density of an object affects how warm it gets. Using metal tubing, the heat is conducted through the house more efficiently and with more intensity. The liquid that is heated travels through the tubing which immediately get heated and at the same time heat the floor. The heat created and conducted through the floor is immediately transformed into waves as it warms up the floor of your home. These heat waves cannot be stopped; they warm up everything they touch. That’s why, after creating the heat, the hydronic system immediately conducts the heat through the piping which eventually heats the floor and thus the heat waves that warm up your home are delivered. Boiler: It heats the liquid that goes through the piping. Liquid: It can be water, yet they are some new liquids that last longer and offer much more cold-resistant performances. Thermostat: It checks the temperature of the water and the environment. Makes sure the temperature is the right one according to the users’ needs. Manifold: Directs water flow according to where the home needs it the most. It works directly with the thermostat. Tubing: Even though plastic is the most common type of tubing for these systems, you may also find copper or other metallic pipes for effective heat conduction, where the liquids travel in. Heat Exchanger: The radiator, in-floor element, radiant loops or baseboard heater, a component that goes between the floor and the heating tubes. Pump: Keeps the heated liquid in circulation to heat up the environment continually. And you would think, which of these components does a heat pump replace? Well, easy, both the boiler and the pump. A heat pump preheats the liquid on the tubing using natural warmth, reducing electricity and gas/oil consumption. With the pumping of water that comes back again to the heat pump, the heating process ends up being even more convenient while maintaining a continuous flow. The heat pump creates the heat, heats up the water, and then the liquid is pumped through the loops to the house. The conduction process makes sure the radiant loops heat up the floor, and then the floor radiates heat waves which eventually warm up the whole house or room. Types of Hydronic Floor Heating – Why is a Heat Pump Better! The most common in commercial systems, it is highly effective yet commonly uses more electricity. It is used alongside a heater, tankless or with a tank. The traditional boiler uses a lot of gas to function correctly. It means that it ends up being a lot more expensive in the long run. Smaller than a traditional heater, yet good enough to heat up the liquid that goes through the piping of the device. It can be both electric or gas/oil dependent. Demands little installation efforts or costs, yet uses a lot more electricity than others types, and sometimes even needs gas or oil to function. Doesn’t heat up the water as fast or as much as other devices yet provides immense energy efficiency (even more than a heat pump). However, it demands a lot of maintenance efforts and the installation is a total headache. 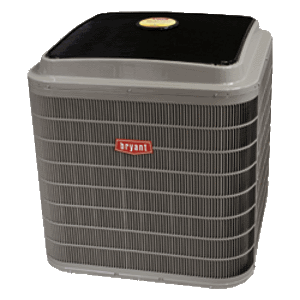 When you use heat pumps for your hydronic radiant floor heating, you immediately avoid expensive using costs, maintenance efforts & costs, installation work, and even get a much more long-lasting device. What makes them even better than any of the previous ones is the ability to pump the water in & out without having to use an additional pump. This eventually makes the device a lot more efficient & convenient. You will be saving not only installation costs but making the whole heating process a lot faster and effective. Don’t hesitate to install one of these systems at home. You will obtain top-notch performance, great operation costs, a straightforward installation, and a highly reliable yet efficient system – especially when compared to others.